Join us for a riotous brewfest with bawdy songs, jokes, and drinking games. company of our most colorful characters. SIGN UP at the Information Booth — $40 per person. Tour lasts approx. 75-90 minutes and includes five pubs/drinks. Limited space available. Participants will also receive a commemorative pin. Must be 21+ and have your valid Driver’s License/State ID to participate. 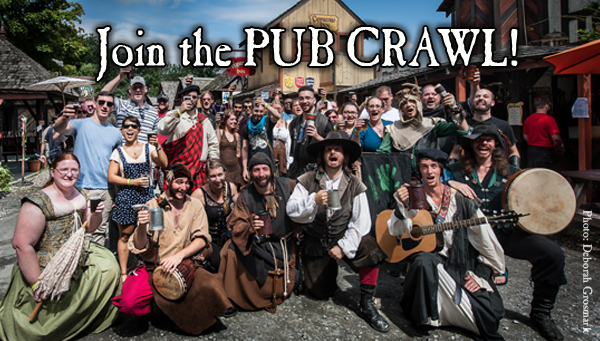 Limit one Pub Crawl per person per day.